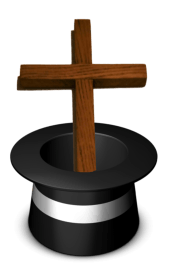 We desire to encourage and assist every effort, both individual and collective, which may tend to foster, elevate and advance the art of magic and other performing arts, from a Gospel point of view. We USUALLY meet at The Magic Castle in Hollywood, California, USUALLY on the 4th Monday of each month, from 7:30 - 9:00 p.m., and USUALLY in the Peller Theater though. it's best to check at the front desk when you arrive to make sure of the room we will be meeting in. 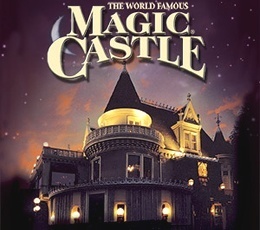 The Magic Castle is located at 7001 Franklin Avenue, Hollywood, CA 90028-8600. (Click here for a map. Occasionally we meet in other places, it all depends on the Magic Castle's schedule. Please check our calendar for detailed information. Click the button below to go to the calendar page. There is no cost for first time guests. There is a $10.00 admittance fee for returning guests, but it can be waived your second visit. After that we ask that you join us and take advantage of all of our membership perks! - Thank for understanding. If you are in the "non paid member status," you will also be charged a $10.00 fee that does not go toward your membership. Remember the dress-code/rules for the Magic Castle apply during our meetings.